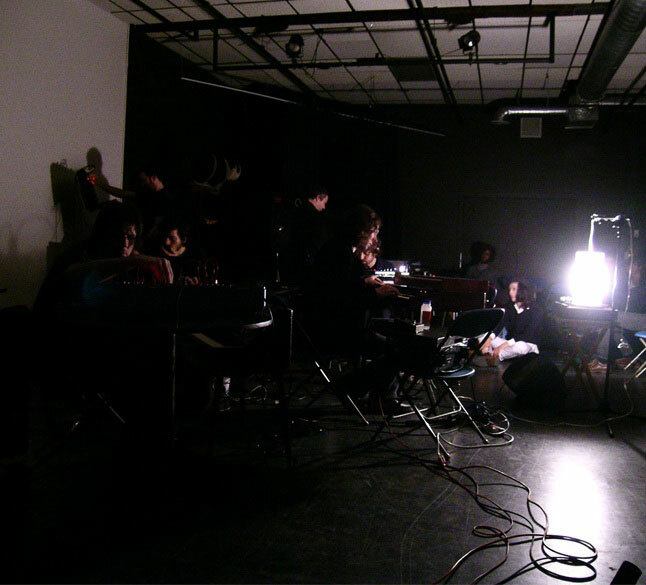 As British Columbia's first voltage controlled orchestra, BCVCO's billowing, propulsive sound unites disparate historical threads such as 60's electronic music lab pioneers, 70's cosmiche drone masters, and 80's synth outsiders, all for whom the analog synthesizer is the central instrument of expression. The sextet foregoes dogmatic historical allegiance to any one era, focusing instead on a new present, where the transitions between themes, sounds, histories reach beyond time into new landscapes of memory and experience. Led by longtime Vancouver synthesist, Josh Stevenson (aka Magneticring), BCVCO includes members from some of Vancouver's most storied acts: Scott Gubbels (Superconductor), Jeremy Schmidt (Black Mountain) Ted Bois (Destroyer), Daniel Presnell and Rick Smith (both of Von Bingen). 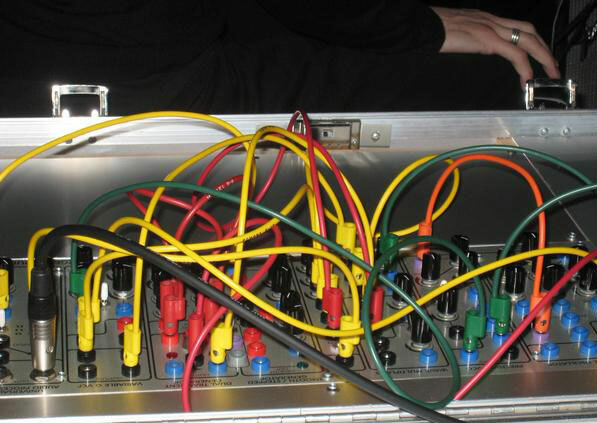 Using a battery of analog synthesizers from EMS, Oberheim, Buchla, Serge, Roland, ARP, Yamaha, and EDP, BCVCO explores both large group improvisation, and arrangements with equal dexterity. Sequences emerge, backed my motorik rhythms; thick drones swell into symphonic crescendos and release in a storm of abstract tones. Each member assumes a different voice, a different function in the orchestra, replacing staid instrumental configurations with phased strings, bubbling bass, overdriven organ, modular synth chaos patches, white noise percussion, and generous filter sweeps. The resulting sounds maneuver between the epic, and the infinitesimal, between the harmonious and the aleatoric, between nature and the inorganic. Over the last three years, BCVCO has left audiences at the Western Front, Fake Jazz, Music Waste, and VIVO adrift in heady, meditative zones, or transformed into a mob of throbbing somnambulists. While the group has yet to release any recordings, a number of releases are planned for 2010. EMS Synthi AKA, Buchla Music Easel aka 'electro-organism', farfisa syntorchestra, Roland SH-1000 & SH-1, Oberheim 2-Voice, Moog Source, Mini-Moog, Arp Odyssey, Steiner-Parker Synthacon, Serge 'Animal Panel', Drumfire, Tympani and more!